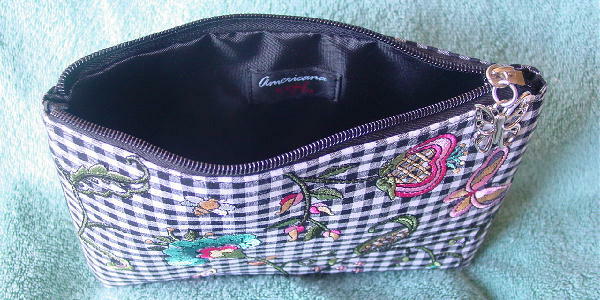 This never-used black and white gingham fabric small clutch can also be used as a makeup bag. It's an Americana by Sharif. It's light in weight and the interior has a black lining and a fabric Sharif tag. 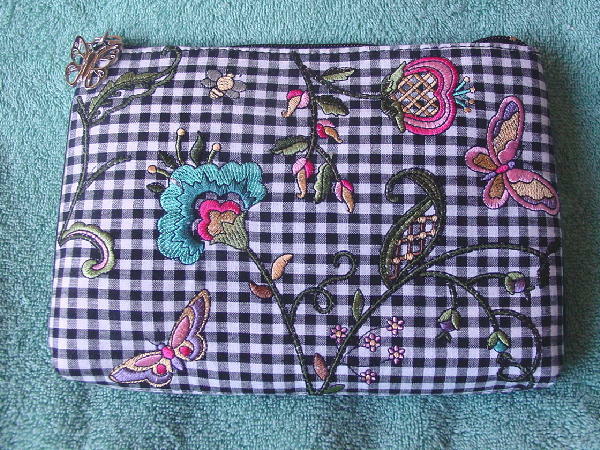 The front has an embroidered butterfly and floral design in greens, blues, pinks, light purple, and yellows. There is no floral design on the back. There is a top side to side zipper with a silver-tone metal butterfly pull. We also have two compatible pieces for sale.